Chocolate Persian kittens can come in various shades of brown. The chocolate gene is recessive, so this color pattern is rarer than a typical white Persian or a Himalayan with color points. Lilac is also a variation of the chocolate gene, but it's a diluted variety. While there may be many different chocolate variations, the Cat Fanciers' Association lists the true Chocolate as having a coat that is brown from the roots to the tips, a brown nose, pink paw pads and copper eyes. However, they do also recognize chocolate tabby, chocolate tortie and chocolate calico as colors. Many Persian cats have brilliant blue eyes. However, the chocolate Persian typically has copper eyes. The intensity and shading can vary from cat to cat. Like all Persians, chocolates have wide bodies, short backs and thick, heavy legs. Typically, a Persian will not jump or climb very high off the ground. Even as tiny kittens, Chocolate Persians have open, petal-like faces and wide eyes. Persians are very trusting of their families as can be seen in their innocent, lovingly expressive faces. Very few chocolates have perfect color patterns. Those that do are often shown in competition. For people who simply want a beautiful cat as a pet, a kitten with less perfect coloration is still a wonderful choice. Also keep in mind that as the cat sheds seasonal fur, the colors may vary slightly. The tortie may have a wide variation of colors or slight shadings in spots. However, the overall chocolate color should be dominant. That cute fluffy kitten is going to turn into a cat that needs daily brushing and regular grooming to keep his fur in top shape. 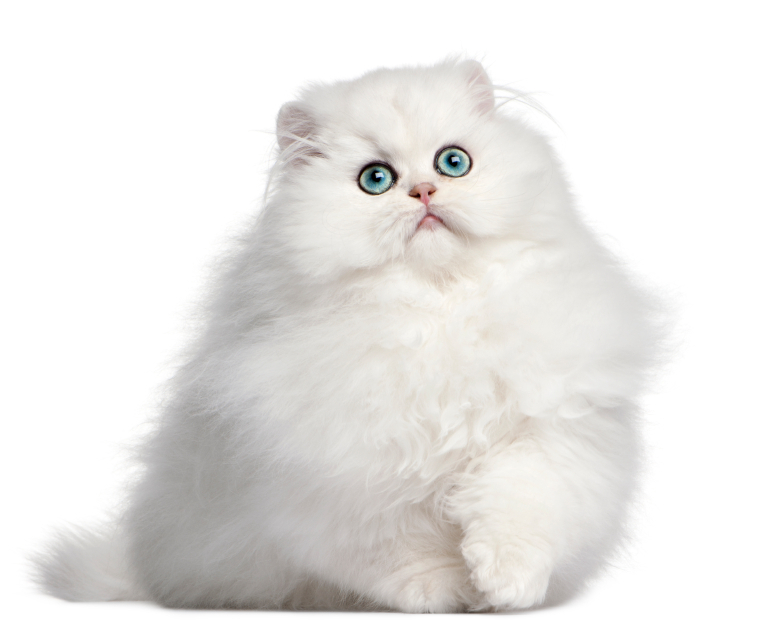 Make sure you understand the amount of upkeep a Persian requires to be sure this breed is right for your family. Adult chocolate Persians are beautiful cats. Guests will remark over your grown kitten's unique coloring, beautiful eyes and sweet temperament. View LTK's Cute Fuzzy Kittens slideshow for photos of other adorable kittens.